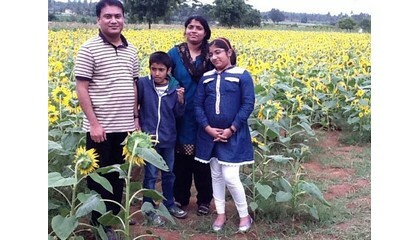 We are just back from our vacations in Ooty and Bandipur arranged through Iris Travels . The arrangements were excellent and the Iris team were very professional and took personal care in the arrangements . 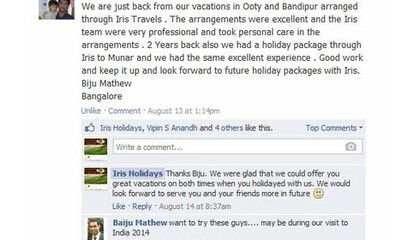 2 Years back also we had a holiday package through Iris to Munar and we had the same excellent experience . Good work and keep it up and look forward to future holiday packages with Iris.